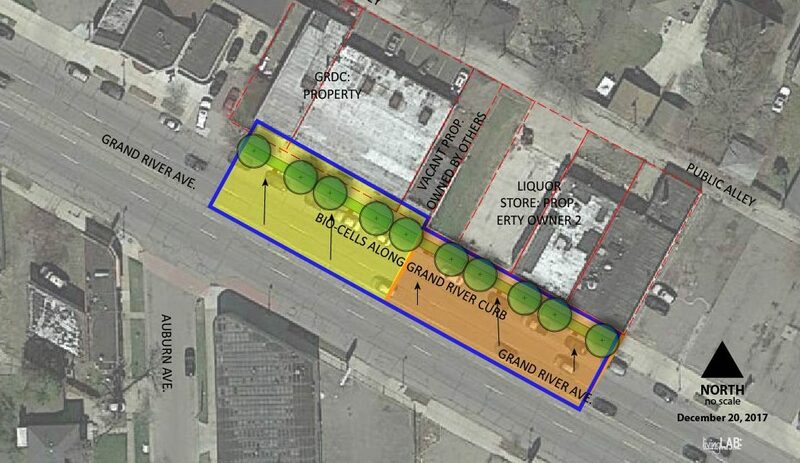 The Detroit Collaborative Design Center pulled together a Think Tank to address the complexities of shared green stormwater infrastructure (GSI) strategies in response to the published Detroit Water and Sewerage Department (DWSD) Drainage Charge Credit Program. This multidisciplinary team included livingLAB (design and stormwater calculations), the Great Lakes Environmental Law Center (legal assessment), Zachary & Associates (financial assessment), and OHM Advisors (implementation & maintenance). There were 3 community organizations that participated in the project giving us real sites with real challenges to study 10 unique and complex scenarios. 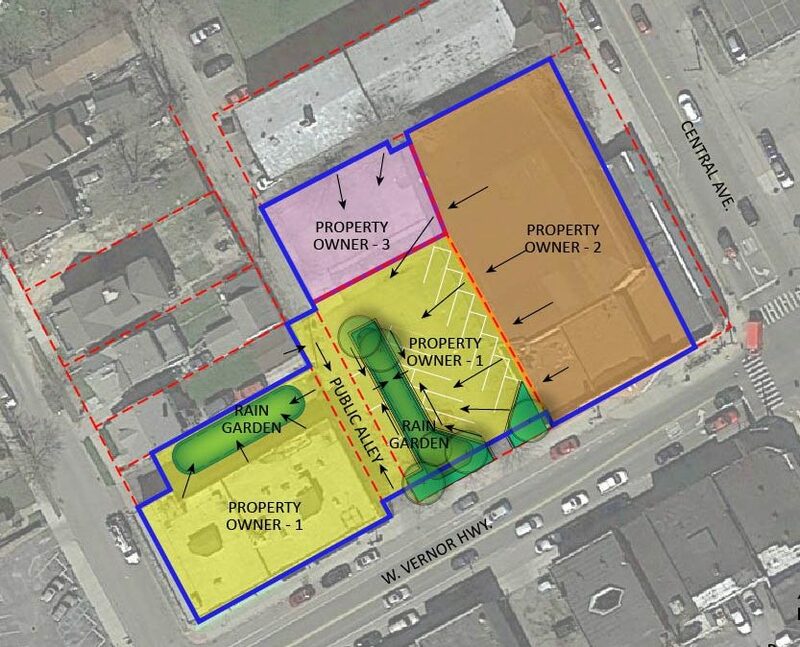 Implementing GSI strategies at the individual parcel level can be cost prohibitive to property owners and/or too small to make much of an impact. By addressing how shared GSI strategies could be implemented from logistical, legal, financial, and maintenance perspectives, and figuring out how the calculation and credit system would work for each participating property owner, the Think Tank was able to produce both a technical report to advise DWSD on shared GSI credit opportunities, and a guide for members of the community interested in pursuing shared GSI implementation. Different strategies include bioretention, detention basins, and permeable pavement with underground storage shared by adjacent parcels, nearby parcels, and off-site parcels within the same sewerage sub-drainage area. The role of right-of-way runoff was also considered in how it could be captured to offset areas of on-site runoff that is not able to be captured. The Think Tank worked with DWSD throughout this process to ensure our final deliverable would fit within their sets of constraints and be useful as they move forward toward implementing future phases of the Drainage Charge Credit Program.